The term 'Cockapoo' is a generic name for several variations on a theme, of a cross-breed dog, depending on parentage - so it would be impossible to exact a "Breed Standard" on it. A Cockapoo, which is the mix of Cocker Spaniel and Poodle, is generally accepted as loving; loyal; cuddly; fun; energetic and totally domesticated family pets. Cockapoos have been known in the United States since about 1950 and are one of the oldest of the hybrid dog breeds. The earliest known dictionary reference was a 1960 Oxford English Dictionary citation. When new to this country nearly 10 years ago they were given the label of 'designer dogs'. We already have Cockapoos who are 8 and 9 years old in GB and as their popularity continues to increase, their substantial list of qualities are being appreciated, so the label has been dropped as the dogs have gained recognition. We accept all sizes; styles and crosses (F1; F1b; F2 etc etc) into the Club and as such will be looking to build a comprehensive guide as time goes on. The first cross with a Cocker Spaniel and a Poodle results in the 'F1' Cockapoo. This is generally considered to be the most stable mating giving the most consistent results, with the added benefit of “Hybrid-Vigor” - in most cases the resultant offspring can be as much as an inch larger than the parents when adulthood is reached. There is also no worry of in-breeding / line breeding for this cross. With an “F1” Cockapoo - which breed is mum and which breed is dad may have an effect on the resulting offspring but both options are equally acceptable for producing beautiful F1 Cockapoos. It gets more complex when two F1 Cockapoos are bred together - giving an “F2” - as potential throw backs can result from 'The Granddad Effect', where some Cockapoo puppies from the same litter can take on different characteristics from either Poodle and/or Cocker Spaniel whilst other siblings may keep the “Cockapoo” look. The Grandparent trait is not normally noticeable for some weeks after birth. Coats types can still vary and moulting / shedding is a possibility. 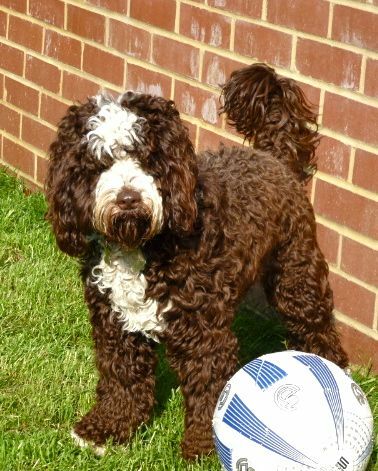 Further variations are where a Cockapoo is bred back to either a Poodle or a Cocker Spaniel giving an “F1b” / “F2b” (dependent on which generation the parents are). An F2 mating to another F2 results in an F3 - and so on. However, the further you go on the more research needs to be carried out to ensure in-breeding is avoided (where both parents share a common ancestor within a 5 generation blood-line). The Club has been set-up to promote healthy breeding and the register is there to provide a database of information for breeders to avoid taking the breed into unhealthy territory. An F2 to an F3 will result in an F3 - and an F2 to an F4 will result in an F3 - as you only go up one generation step from the lowest denominator. All variations are still referred to as a “Cockapoo” but can range in size, shape, appearance, intelligence and temperament. However, they may not all share the low / non-shedding hypo-allergenic coat that is and can be suitable for those people with most allergies, so finding the right mix for you may take some investigation. Allergies are normally “dander” related not “shedding” but a dog that sheds does release dander into the home. For more information go to the Coat Type Variations and Hypoallergenic pages. A large factor is which type of the three Cocker Spaniels make up the other half of the F1 Cockapoo. The American Show Cocker, the English Show Cocker and the English Working Cocker are so different that they could be viewed as different breeds (though both English Show and Working strains still share the same KC Stud Book at present). The American Show Cocker Spaniel is the smallest of the three, has a domed head, deep stop, dropped and long ears and a dense/heavy coat that can grow to the floor. As pets these dogs are usually clipped on a regular basis. They are cheerful, gentle, sweet dogs of average intelligence, that are devoted but on occasion some have a tendency to shyness. They are active, playful, amusing, keen to work, trustworthy and charming with an ever wagging tail. The English Show Cocker Spaniel is technically the largest, again has a domed head, deep stop, dropped and long ears and a dense coat that is thick and wavy. As pets these dogs are usually clipped on a regular basis. They are intelligent, merry, gentle and loving. These glamorous little dogs are busy, have great scenting ability, eager and willing to please, are very easy to train but are equally comfortable as 'house dogs' and as a result are often the companion of choice for the older generation. The English Working Cocker Spaniel is an athletic small gun-dog that has a light coat with pretty fringing that doesn't have to be clipped, with high set ears and squarer faces. Bred for working performance as a priority, they can vary in look and size more than the show dogs. They are happy, intelligent, willing to please, soft mouthed (used to pick-up and carry game without damaging it), high stamina, obedient, steady, faithful, sweet natured and very trainable dogs. They have the ability to 'work' all day but at the same time will remain focused on the job 'in-hand' and the handler. It must be stated that both “Show” variants have been bred over the generations to a “Breed Standard” as outlined by the Kennel Club and most genetic disorders carried by both strains have been a result of in-breeding and line-breeding over the generations to achieve the goal of the “Standard”. The “Working” variant has generally followed a more natural genetic development - normally via Game-Keepers - where function has taken preference over form. In the real World, each dog is different and value must be placed on actually meeting the parents of the puppy you look to buy. It is not factually set in stone that “Show” dogs have had the energy bred out of them - you can get “hyper” Show dogs. Similarly, not all “Workers” are wired - as you can get “Couch Potato” Workers.....the debate will go on. There are also a few cockers who have a mix of both 'Show' and 'Working' dogs in their pedigrees. Crossing with the Poodle can both add some “intelligence” into the mix with a Show dog - as much as it can add “calmness” into the mix with a Worker. 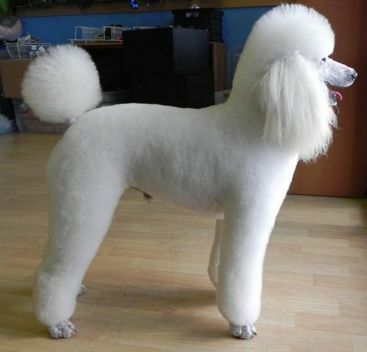 Though technically one breed, Poodles do come in different several banded size ranges - from Tea-cup through to Standard. 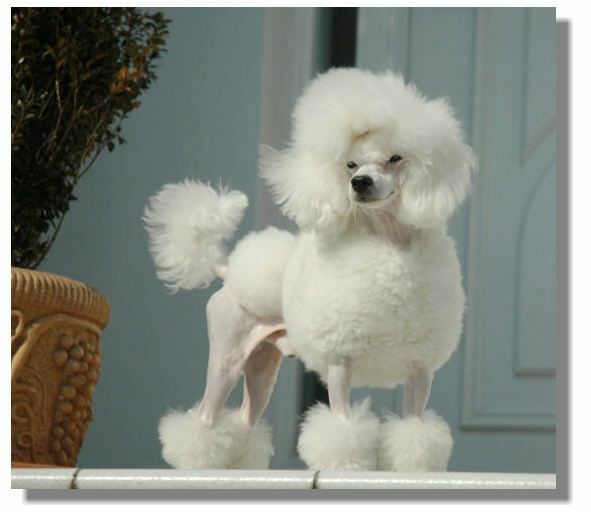 In general, only the Toy and Miniature Poodles are used to breed Cockapoos. A 'Toy' Cockapoo has a Toy Poodle parent thus a 'Miniature' Cockapoo has a Miniature Poodle parent. As a generalisation Toy Poodles can have a dainty frame; are affectionate, loving, highly intelligent and very domesticated. They often have big personalities and what they lack in size they can make up for in noise. The Miniature Poodle can come in 'traditional' form: long muzzle and slender legs, soft fluffy 'candy floss' coat, dainty frame and generally a sweet, delicate nature - and also the more 'modern' format: shorter muzzle; looser coat with a defined hair shaft; more stocky frame and a calmer, more confident temperament. Both display typically the characteristics of a very domesticated and highly intelligent dog like all poodles are. Miniature Poodles range in size from: 11" to 15"
Ideally it is best to meet a cross-section of “types” and base your choice on the mix that would suit YOUR lifestyle best. We promote Organised Events and Group Walks and these are an open invitation to anyone whether they own a Cockapoo or not. 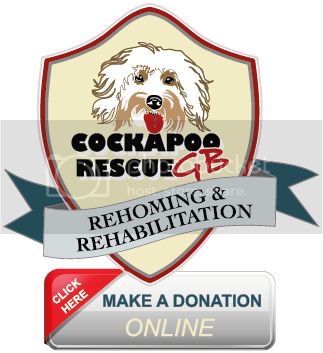 It is a great way to meet dogs and their owners - after all, recommendations are generally a great way of helping people with the choice of Cockapoo / breeder.